It is an uncontested fact that Lao farmers know their trade. 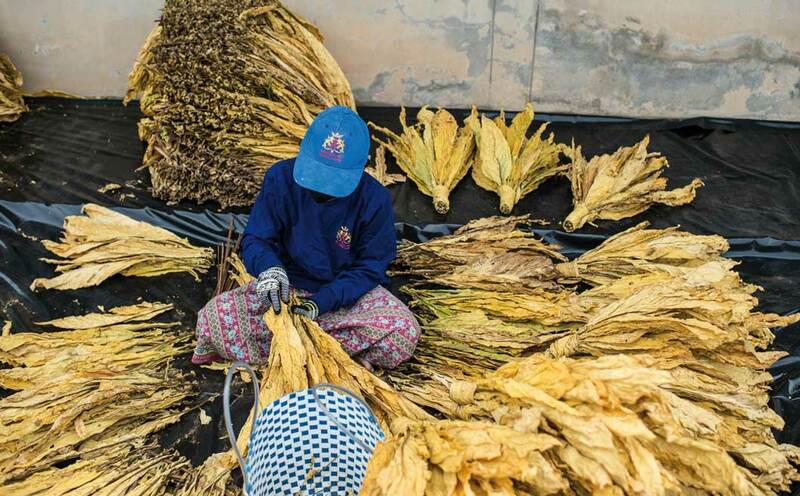 And when it comes to tobacco, these hardworking individuals produce some of the country’s best leaves. While these are very much prized in Laos, many are unaware that they are much sought after outside the country as well. As with other commodities like rubber, coffee, minerals, and electricity, the tobacco leaf grown by Laos’ farmers is of export caliber. With the support of Lao Tobacco, these golden leaves have been sent as far afield as Germany, Holland, Poland and even Madagascar. In order to qualify for these markets, the exporter must possess the right skillset: growing, curing, and selecting the right leaf, with the perfect color, aroma and texture. And only the finest leaves are chosen to make the journey to lands where they are appreciated by those with a taste for the exotic.